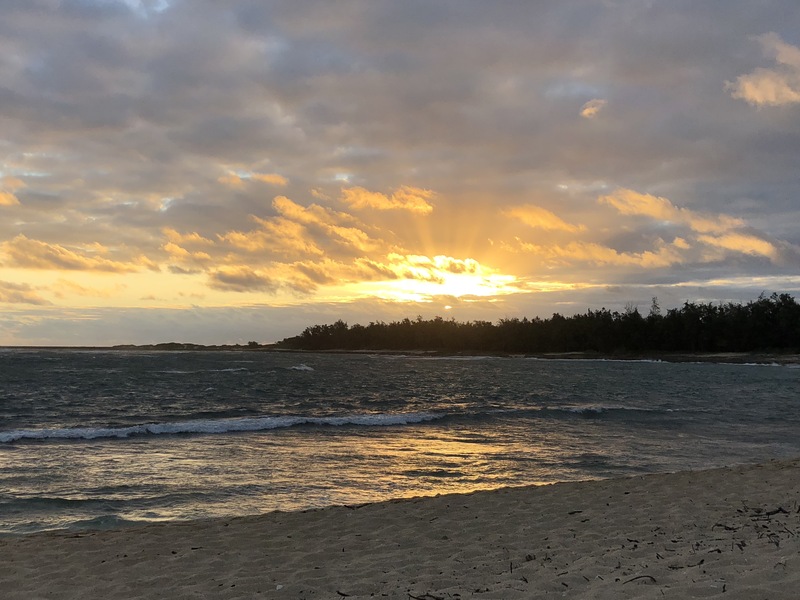 I just returned from a lovely vacation with my family in Turtle Bay on the North Shore of Oahu. It’s the same place I lead my retreats every year. On my last day I took my walk and watched this sunrise. Pictures never do anything the kind of justice they deserve. It really was magical how the rays of sun beamed out … almost spiritual really. I sat here and watched the sun and the waves. And I asked the ocean to tell me something about each of the retreaters who are coming to work with me in October. I said each of their names, one by one, and asked the ocean to tell me about them in the waves I assigned to their name. Looked at the first wave I saw. And it spoke. The waves truly spoke. And I love the amazing women I work with each year. What do you think your wave would say?